Social media played a central role in the Arab Spring, when citizens demonstrated against and ousted oppressive government regimes. A new study from the University of Kansas analyzes how social media can also help citizens in authoritarian countries oppose state actions without invoking retribution from the government, all by strategically framing their message and sharing information. One such movement even helped state-run media report on and support the cause. Vietnam is a one-party, authoritarian country in which speaking out against the government and public protest are not tolerated. Yet in 2014, a group of citizens organized a movement via Facebook that called attention to an environmental cause, brought activists together, shared their message, garnered press coverage and ultimately persuaded the government to change its actions. Hong Vu, assistant professor in KU's William Allen White School of Journalism & Mass Communications, co-authored a study that analyzed how the movement was successful. "Public protests against the government or any challenges to their legitimacy are not allowed in Vietnam," Vu said. "It's very rare, but when people do protest, they can risk their lives, their families, their safety. It's not as easy in Vietnam as it is here to organize a protest. If you're in a group of six or seven people holding signs about anything, you can be arrested. I think, especially in authoritarian countries, social media is greatly changing the way people communicate and get information." 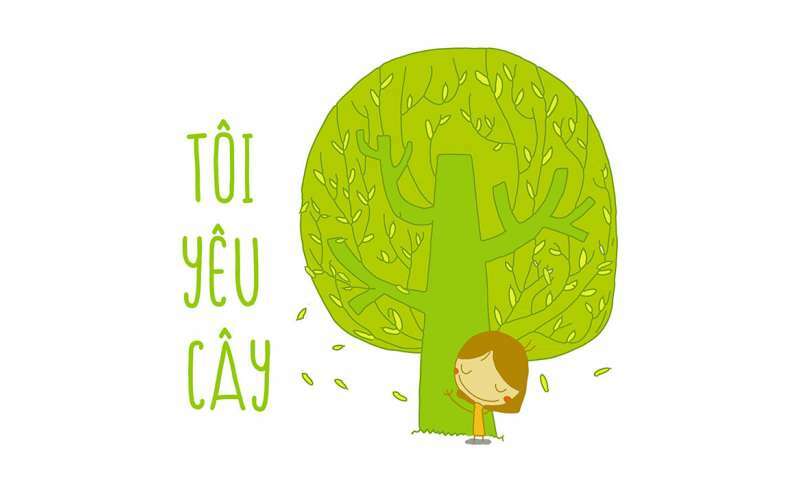 In 2014, government workers in Hanoi began a campaign of cutting down trees in the city. The trees, which were decades old, were slated to be removed because storm season was nearing, according to the government. The first trees were cut down in a busy part of the city, and people noticed immediately and began posting pictures on Facebook, asking for more information. They quickly learned via Facebook, which is hugely popular in Vietnam, that 6,700 trees were slated for removal by the government. Activists quickly formed the group 6,700 People for 6,700 Trees to counter the action. Within 24 hours, the group had more than 9,000 members, much more than planners thought would be necessary to support the movement. Vu, a native of Vietnam and former journalist in the country, and co-authors Hue Duong of the University of Georgia and Nhung Nguyen, communication manager for Vital Strategies in Vietnam, interviewed 18 activists, participants and journalists who took part in or covered the movement. The study is forthcoming in the International Journal of Strategic Communication. The authors found from their interviews and analysis of posts the group was very savvy and deliberate in how it presented its messages, which was vital to avoiding a crackdown from the government. They established a collective identity and invoked emotions, which are crucial to success of any movement. The Facebook group was full of Hanoi citizens who saw the trees as an established, vital part of the community and part of their identities as citizens. "These activists really knew how to communicate their message on social media, bypass the government and get the mainstream media to follow their message," Vu said. "Ultimately, they got the government to change its plans." 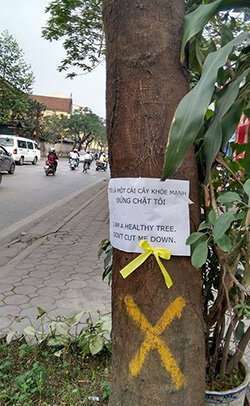 After establishing a collective identity of Hanoi citizens who cared about the trees and how they were part of their lives, they took the movement offline. This step was crucial as they did so without invoking crackdowns on protest and dissent. They began meeting informally to discuss how they could save the trees. Participants deliberately avoided directly criticizing the government, instead focusing on how they loved the trees and wanted to keep them. The movement was even successful in bringing large groups of people together in public united around a cause. They did so by organizing an "outdoor picnic," in which people talked about their love of the trees, desire to save them and talk only about peace and the benefits of the trees. The government was closely watching them, respondents indicated, but they avoided arrest by sharing positive messages and activities such as group tree hugs and even giving flowers to security forces monitoring the activities. Again, savvy message framing prevented government reprisal, the researchers found. "They were very creative in how they framed their activities, calling them 'outdoor picnics' or 'tree hugs,'" Vu said. "They didn't actually say anything against the government. To get participants, they had to be as creative as possible. If they had framed it as a protest, people would not likely have taken part because of the danger. They had to think not only about the movement, but about the risks to people." Activists attempted to stop tree cutting by interfering with the work of those taking them down. They called on people to place signs on the trees with messages such as "I'm a healthy tree, don't cut me," or tie ribbons around the trees across the city. Such actions caught the attention of Vietnamese media, which are state controlled. While the media weren't allowed to directly report on opposition to the government's plan, they did report on related topics to provide information to the public. Some of the popular stories would focus on how tree protection was handled in other countries and environmental movements in other places. That showed media were willing to report on and share the message of social movements as much as they were allowed to in ways that wouldn't invoke censorship. Ultimately, the movement was successful, as the government scrapped the plan to cut the trees. The campaign was the first successful movement in Vietnam's modern history and shows how traditional and social media co-exist in the country. The findings also show how social media, when carefully used, can help citizens in authoritarian countries make their voices heard. "Public opposition is there, but without social media, it would be much harder to organize and coordinate a social movement campaign, especially in authoritarian countries," Vu said. "Our findings show social media not only allows better organization, it allows activists to strategically communicate their message in a way that can guarantee the safety and security of the movement."